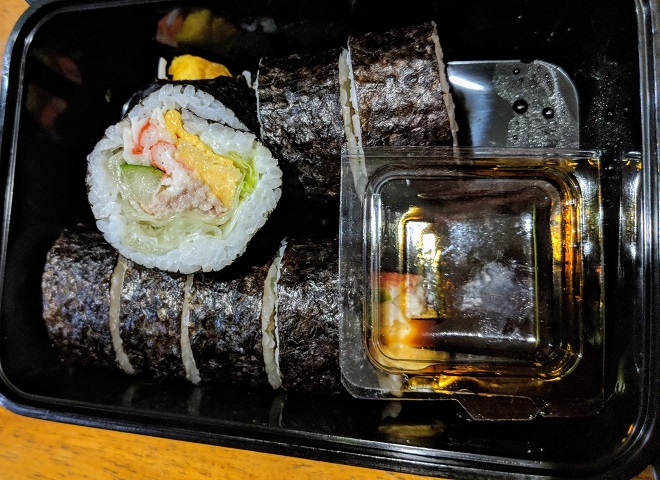 ホーム > ASKSiddhi独断うまい店 > "K's Delicatessen" Ends Your Long Pursued Sushi Quest in Pune! It was like a dream dinner for me as well. On 4th April 2018, my Japanese friend Kako-san, who is always admired among her lots many friends for the excellent cooking skill, finally opened her own "Maki-zushi (sushi-roll)" business in Pune. I had been eagerly waiting for the day to come! Wanna sample the casual finger sushi? Turn straight to "K's Delicatessen" for her maki-zushi! 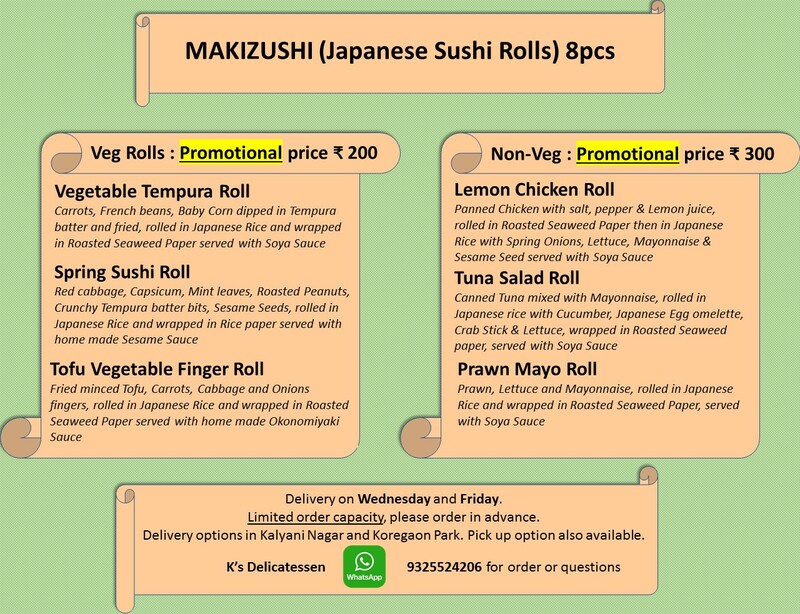 Currently, she provides promotional offers, which are 300 INR per pack of non-vegetarian sushi, and 200 INR per pack of vegetarian sushi (eight pieces each.) She arranges the delivery services for the orders from Kalyani Nagar and Koregaon Park areas. Of course, you can also take away at the specified location. *Clicking the image will enlarge the view. 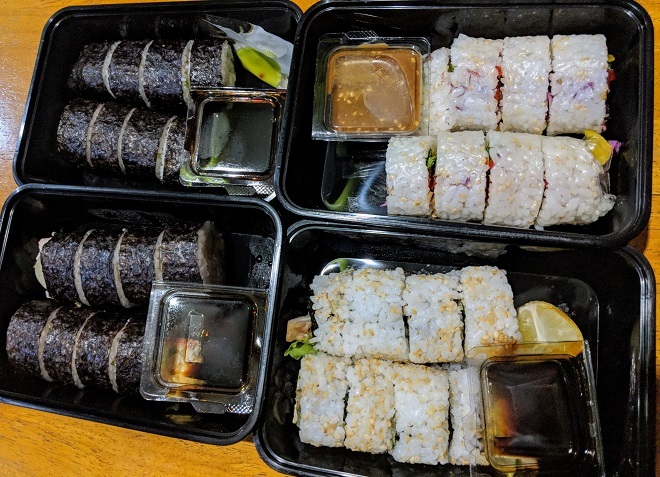 I ordered three packs of non-vegetarian sushi-rolls, just 900 INR! 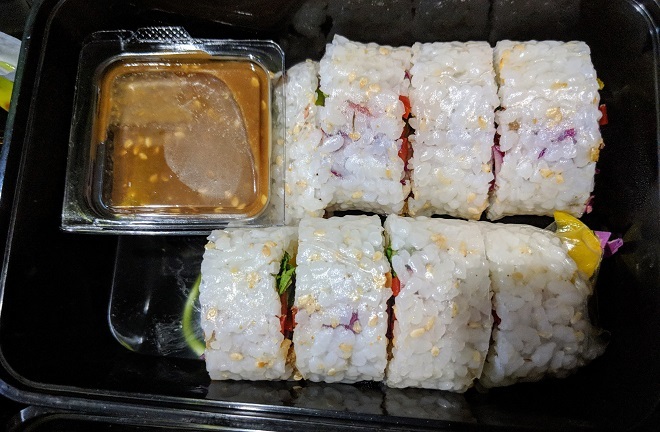 Also, on the occasion of opening day, Kako-san treated me an extra pack of vegetarian "Spring Sushi Roll" too, quite generous as a sample, wasn't it!? 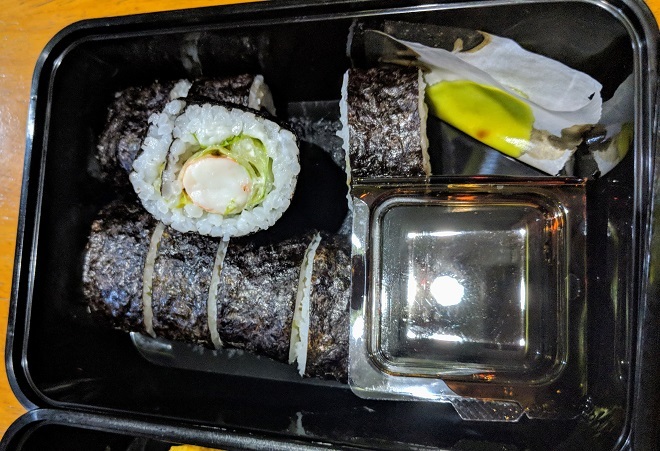 Then, I savored "Prawn Mayo Roll," which was Siddharth's niece's choice who also loved it, and thus I almost grabbed the piece in her hand away! The prawn didn't smell at all as Kako-san took all the appropriate steps for preparation that are often ignored in many of restaurants in Pune. Good match with the mayonnaise sauce as well as soy sauce. You may enjoy it with the Japanese wasabi mustard contained in the pack. Kako-san has the answer to all the Punekar who wants to try out sushi but a bit reluctant to go for seafood, which is "Lemon Chicken Roll." The fresh lemon flavor is the perfect match with the savory sushi rice, which will instantly melt into your mouth. Finally, I was totally astonished by her vegetarian "Spring Sushi Roll." It's not a type of dull, plain taste of salad-sushi you might be imagining. The marriage of crushed roasted peanuts and the secret recipe for sesame sauce will knock you down! Very deep and full-flavored. Perfectly balanced between sushi rice and ingredients, Kako-san's homemade sushi rolls will give you warmth at not only your stomach but your heart. According to her, the volume of sushi rice is higher than the typical sushi rolls in Japan. Still, we three (one was a 22-year-old university student) could not help but finished four packs of 32 pieces almost instantly, because they were so delicious!! 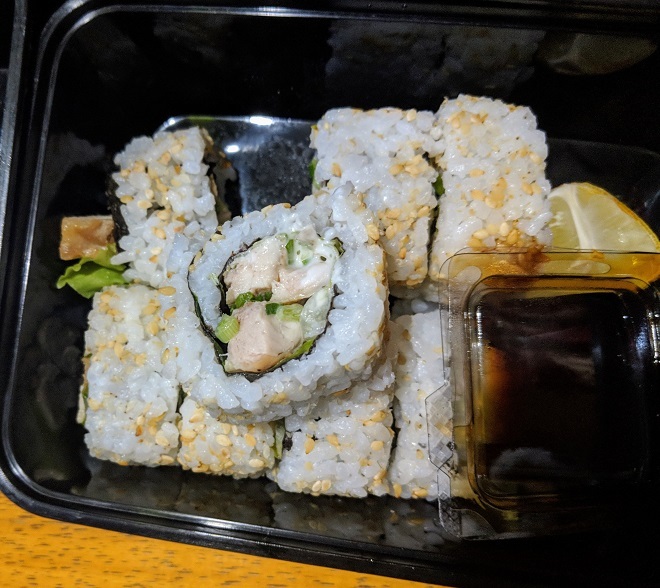 "Prawn Mayo," "Spring Sushi," "Lemon Chicken" and "Tuna Salad." Here is "Prawn Mayo," with wasabi mustard separately attached. "Spring (vegetarian)." Be amused by the deep flavor of roasted nuts and sesame. carefully made with a touch of a mother's love. "Tuna Salad." Beautiful colors, isn't it?